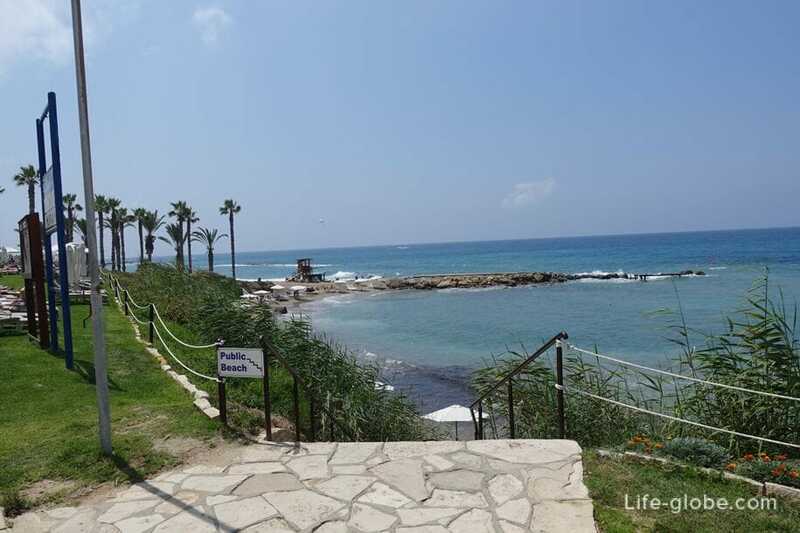 Vrysoudia B Beach or Vrysoudia II Beach - public town beach, located in the heart of the tourist area of Kato Paphos, near the main road - Avenue of the Posidonos. 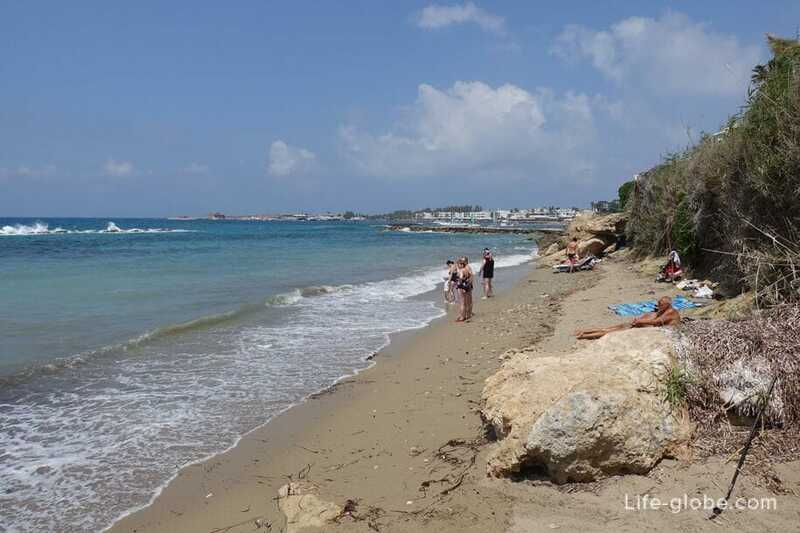 Vrysoudia B beach is small and narrow, on the beach mostly dense gray sand, sometimes mixed with pebbles. The beach is cleaned regularly. On the beach there are algae. 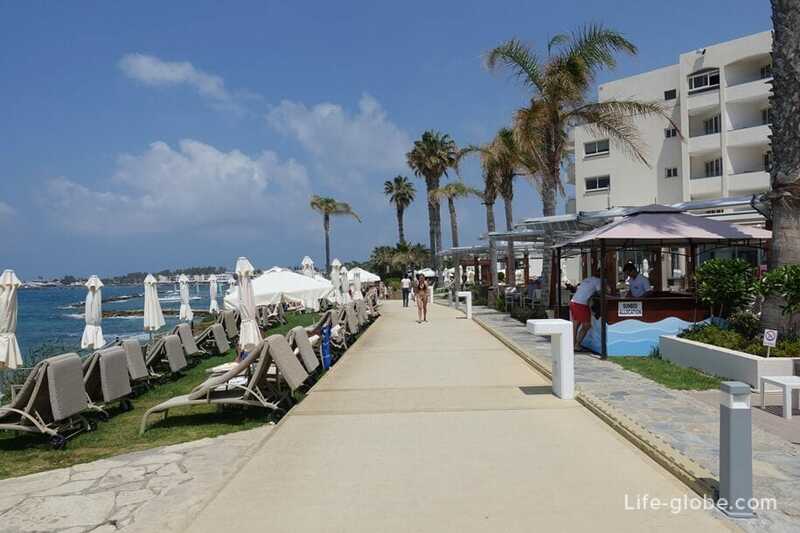 On both sides of the beach are the breakwaters, making the beach look like small semi-circular Bay. Thanks to these breakwaters sea water is quite calm. The entrance to the sea is flat, the bottom is mostly sandy. The beach is situated below a small cliff, down to the beach, one side has steps and the other has direct access to the beach down the hill. 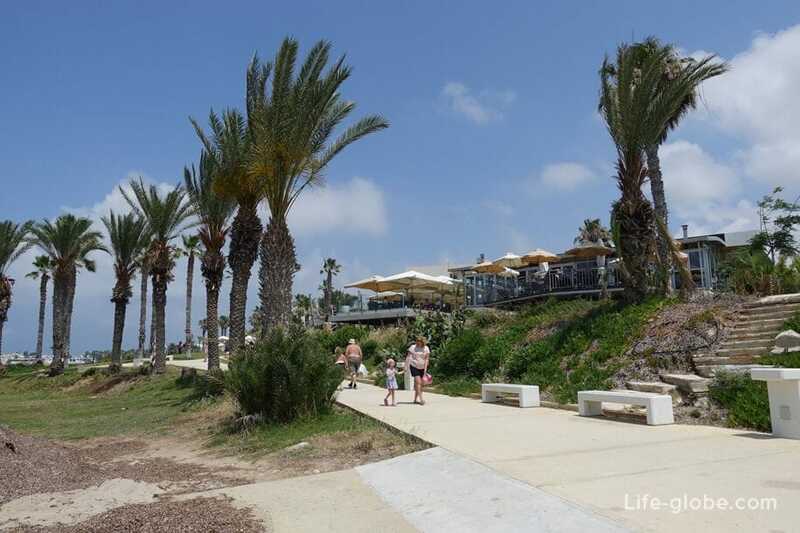 Close to the beach, a dedicated area for water activities, there are also cafes and restaurants. Above the line of the beach promenade - Coastal Broadwalk. 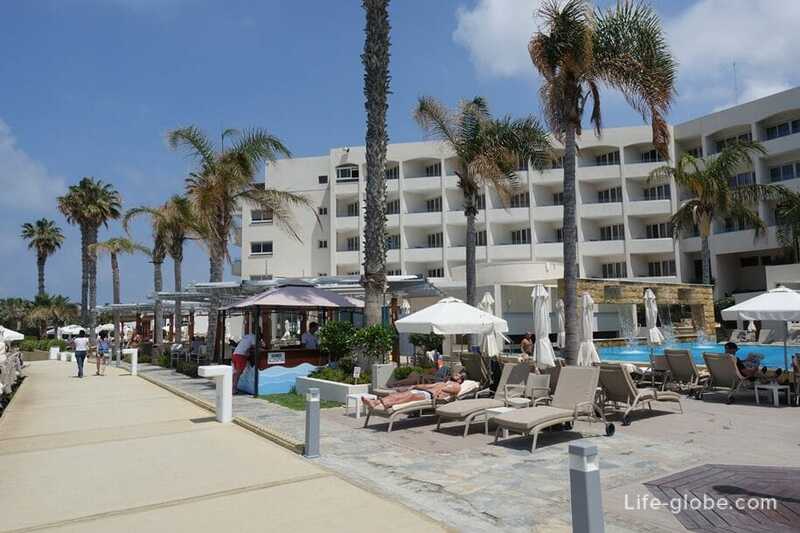 Here is a 4-star Alexander The Great Beach Hotel with landscaped grounds, 2 pools and direct beach access Vrysoudia B. 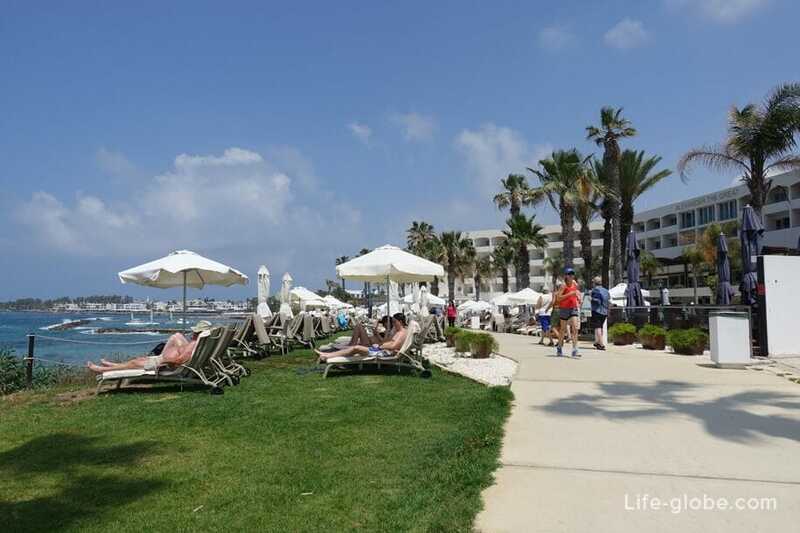 Some of the rooms have a view of the beach and the Mediterranean sea. 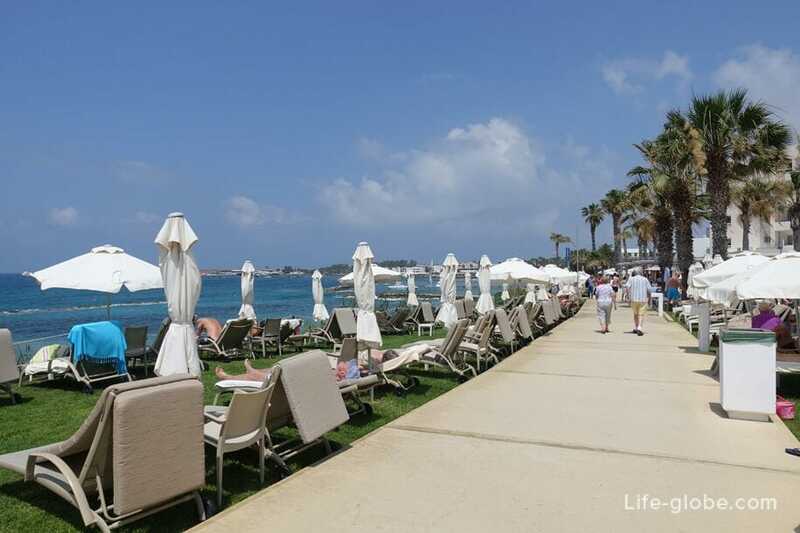 This hotel can be an excellent option for accommodation in Paphos, if you attractive a beach holiday and the proximity of recreational areas, attractions, cafes and restaurants. 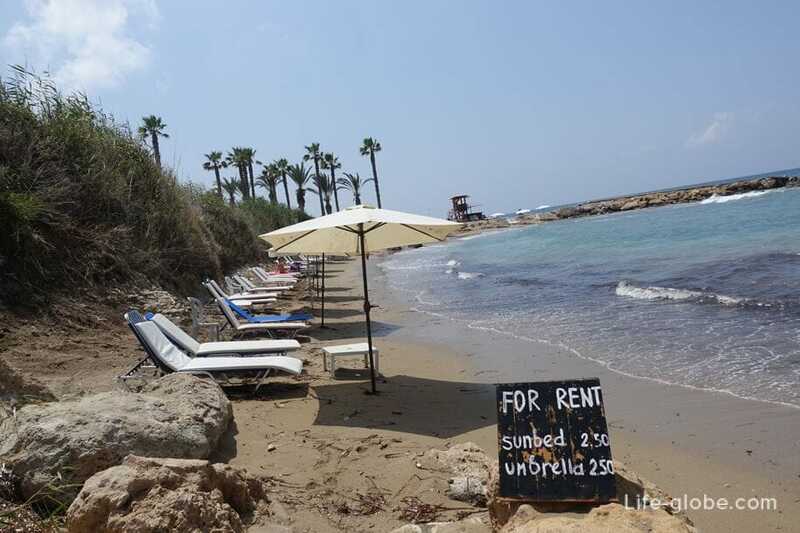 Beach Vrysoudia In situated between the beaches of Alykes and Sodap, at a distance of approximately 1.3 kilometres from the Harbour and Paphos castle. - 606 (bus station Harbour - centre Geroskipou). The bus stops a little further from the beach, at bus stops: Spyrou Kyprianou Av. 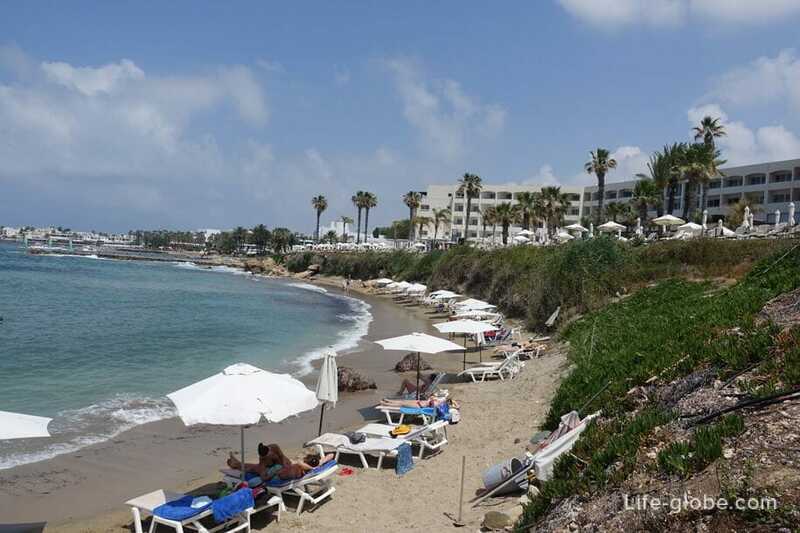 (4), Amathus Hotel and Veronica Hotel. Distance from the hotel to the beach is about a kilometer.